The dubious distinction of having the highest number of parliamentary constituencies with children suffering from malnutrition and several parliamentary constituencies with children suffering from malnutrition-related problems, that must be addressed immediately goes to Madhya Pradesh and Jharkhand, says a study. The analysis, Burden of Child Malnutrition in India: A View from Parliamentary Constituencies, found high prevalence of malnutrition, wasting, stunting, anemia and problem of underweight in children in traditional BIMARU states of Bihar, Madhya Pradesh, Rajasthan and Uttar Pradesh, years after Independence. 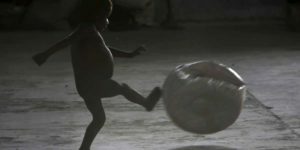 The research by NITI Aayog experts, supported by the Harvard Center for Population and Development Studies, and the Tata Trusts, found that child malnutrition was highly variable across parliamentary constituencies. The experts used data from the fourth National Family Health Survey 2016 and two geographic information systems methodologies developed and applied to provide malnutrition estimates for the 543 parliamentary constituencies in India. “The Lok Sabha MPs are elected by first-past-the-post universal adult suffrage and serve five-year terms in the lower house of the Parliament. Unlike districts that do not have any direct governmental accountability, a focus on constituencies can bring a greater degree of accountability to policy vision and implementation since MPs are directly responsible for the well-being of their constituents,” said the study. The study found that central and north-eastern constituencies showed the highest burden of stunting (height-for-age). When it comes to underweight children, the trends were similar with high prevalence in central and northeastern constituencies, while in case of wasting (weight-for-height), it was highest in central and western India. Anemia was highest in central and western India. Across India, over 20 per cent of children under five experienced wasting, over one-third were underweight, over one-third were stunted, and nearly 60 per cent aged 6-59 months were anemic. India’s 57 per cent prevalence of child anemia is a “severe” public health problem, based on the WHO cut-off of greater than or equal to 40 per cent prevalence.